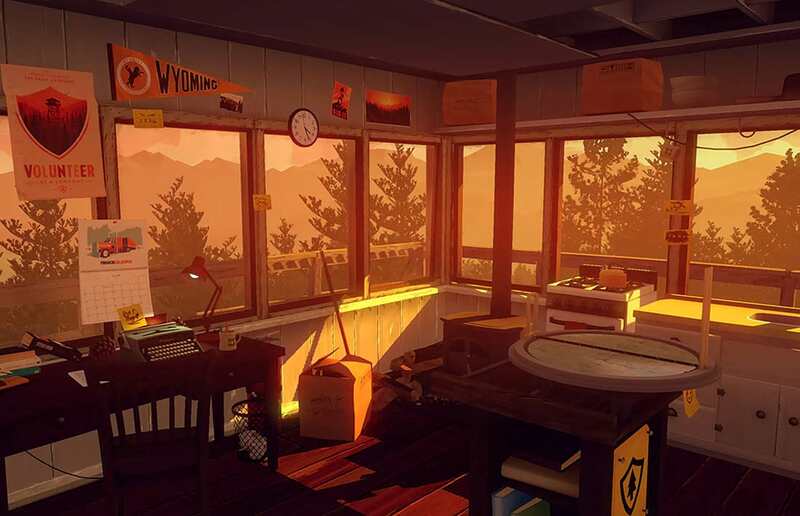 Firewatch is a super immersive first-person adventure and mystery game that was developed by Campo Santo. It was the developer’s first game and had inspirations ranging from BioShock to The Walking Dead. The first title of Campo Santo today can be played on several platforms such as PC, Mac, Linux, PS4 and Xbox One. Firewatch is an electronic game of the first-person adventure genre developed by Campo Santo and published by Panic, Inc. The game is a very intense emotional journey. The story of the game is about losses and how we deal with problems. During the short campaign that may take about 4 to 6 hours, Firewatch will make you live in the shoes of Henry while he works a summer as a ranger. Before embarking on the real game, you’ll be introduced to Henry’s past. This way of exposing the past of the character is very interesting and the possibility of choosing this story helps to create a closeness with Henry, in addition to creating a context for the story of the game. When you arrive at Shoshone National Park, you will meet Delilah through a walkie-talkie. She’s your supervisor, and she’ll be very friendly with Henry as the days go by. The dialogue with her is always done by the walkie-talkie and you have the freedom to choose what to talk about and when to talk to her. As the days go by, the story will start to change and take unexpected paths, but this evolution is done in a very subtle way and very faithful to the universe of the game. The story is very linear and the dialogue options do not have much impact on the progress of things. In fact, the dialogues serve to make the experience more personal to the player because he can project his own personality into Henry. The whole game revolves around atmosphere and immersion as well as having a strong emotional footprint, so these dialogues end up having this function because the constant contact with the characters causes you to begin to develop a certain attachment to them. Both the dialogues and the story itself are very well written. Few games can make you laugh, be cheerful, sad, tense and scared as Firewatch can. The end of history divided the community. Many thought it was too anticlimactic because of the way the story goes, but many also thought it was excellent and in the right measure for what the game was bringing, that is, it really depends on the way each one played the game. We can also say that some holes in history have created room for some conspiracy theories that are very well crafted. It is worth checking! In terms of gameplay what we can say is that the game pleases. At first glance it looks like a big open world but the linearity of the story ends with this very fast dream. In fact, the biggest problems of the game come because of this and the fact that you can not jump or walk in places that are not related to the exact moment of history make the game is half caught in these directions. The exploration part is limited because you can not walk in multiple areas and you can not interact with various objects unless they are related to the story. As part of the ambition proposal, the player is located in the world using a map and a compass. This adds a lot to the atmosphere of the game and immersion, but sometimes navigation is a bit frustrating and you end up losing yourself. Not that this is a problem. In fact, it means that the Campo Santo staff got it right. If you miss and miss the road and checking the map every 10 steps is something you would do in the real world if you were in a forest and it was not Bear Grylls. So they succeeded in creating this feeling of being half lost in an isolated world. But it’s something to watch out for, if you’re not so immersed in the game, it’s very frustrating. 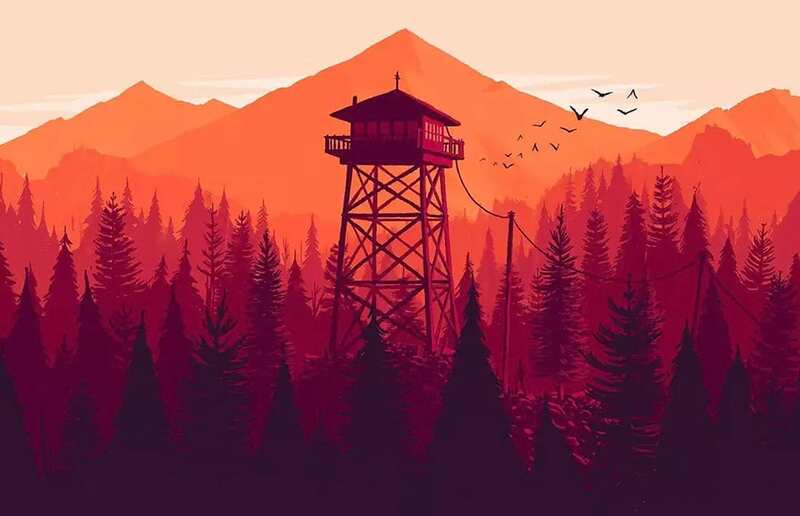 The art direction of the game is very good and Firewatch presents itself in a unique way. The graphics are peculiar, have a medium artistic footprint and a simple way, but at the same time well attentive to details. The game is beautiful, for sure, and it goes a long way toward creating the immersive environment that history needs. You may notice a concern for very specific things, such as the various books, sheets of paper, and even the map that Henry uses to locate himself in the park. The creation of the Firewatch world is very curious. If on one hand you have a very heavy and sad history, on the other you have a vibrant and somewhat joyous environment. Despite this discrepancy that may sound weird, the end result is very good. The various environments lead the player as the story itself unfolds. So if on the one hand linearity is negative, on the other hand the game hits because although the game has a hard script to follow, it has allowed the art team to use the environments to amplify the emotions. So as the various emotions and different situations are appearing in the story, the environment is changing to suit these situations. It’s as if the outside world is a projection of what you and Henry are going through. This synchrony will be imperceptible to a lot of people, but it’s that kind of subtlety that enhances the player’s experience. Perhaps the only element missing in the various supersaturated and colorful environments of the game is the presence of animal life. The team that created the game chose to remove the vast majority of the animals from the park for some technical issues and this ended up doing a little lack. But no problem because the beautiful and bright environments of the game steal the scene. Lighting almost always tends to a slightly yellowish orange that uses dark blue and green tones to contrast that look incredible. There will be few times when you will stop to enjoy the scenery. Concerning sound, most of the time we are between the near silence of a large forest inhabited by few animals and the voices of our main characters, Henry and Delilah. In moments of forest silence, the sound of birds singing, the water falling from the waterfalls and the wind resounding in the leaves adds a very relaxing and cozy atmosphere. The audio quality of the forest is visible, with sounds very well produced and very close to reality. One criticism, however, is that when Henry is walking or running, he can not hear his steps. Other than that the atmosphere that the sound creates during the game is flawless. Already in the moments in which we hear the conversation of the main personages, it is clear the quality with which the voiceovers are made. The artists who give voice to the characters of Firewatch can transmit anger, fear, passion, happiness, apathy, empathy … all the feelings consistent with the situations they seem to face. More than that, the audio quality of the characters is so well done that it will connect you to the characters, whether you love them or hate them. The soundtrack, in turn, is not so present during the gameplay. It appears from time to time, usually in a moment of greater tension, very specific, but when it appears, it is providential. The songs are of an ambient character, without lyrics, with a percussion well demarcated in moments of tension, a mellow and calm melody in moments of happiness or tranquility and a mellow slightly more dense and melancholic in sentimental or reflective moments. Although short, Firewatch is a very fun and engaging game! Your plot will keep you interested in the game throughout the story. Although the story is very good during its development, the ending may not please everyone. But one thing is for sure, we Elucidario channel believe that story is really complex, very intriguing and worth to be played. In addition, the quality both graphics and sound are really a very strong point in the game, ensuring their immersion. Although, because of the amount of content offered in terms of playing time, the price is a bit salty, when the game goes on sale, it is definitely worth acquiring. 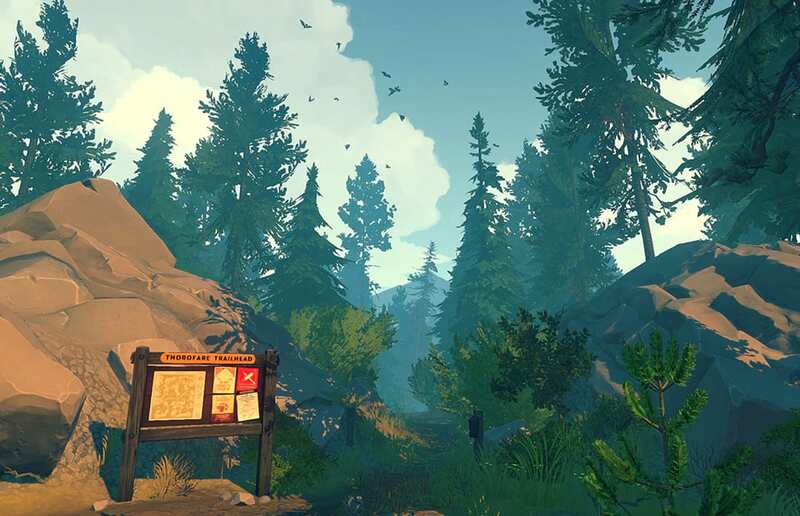 So Firewatch is, yes, a game that deserves a try. And we like it very much!